For ten years I wondered if I would ever see Buju Banton perform live again. The wait has been nearly intolerable. As an unapologetic music lover, reggae is the genre I identify most closely with as the rhythms are the drumbeat of my heart while the lyrics seek answers to questions from the depths of my soul. Moreover, live performances by its evangelists, who understand the art of crowd connection, are my matchless passion. And with a repertoire of hits, that spans almost three decades, very few living performers are in Buju’s league. For ten years I wondered if the existing recordings would be my only means of hearing his treasure chest of songs. The uncertainty was unbearable because while I consider Bob Marley reggae’s legendary king, Dennis Brown its crown prince and the venerable Jimmy Cliff its most endearing voice, Buju is its maestro. Buju is the voice of my generation and the signature sound of my era. He is the one I refer to affectionately as “my artiste”. And for 10 years I wondered if his voice had been silenced. Although a magnificent stage was set for the return, the questions abounded. Was that unmistakable voice still strident and strong? Was the once gripping stage presence still as powerful? And, perhaps most importantly, had that intimate sense of connection between artiste and listener remained intact? 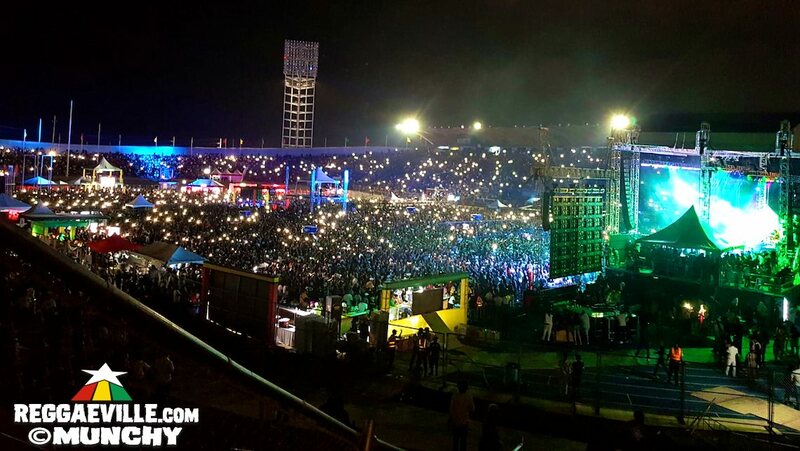 Well, on Saturday March 16th at the National Stadium in Kingston, Jamaica, all the questions were answered and the response was a resounding 'Yes!'. I stepped into the venue and was immediately awestruck at the sight of the crowd. Fans filled the stands and the entire field, making it the single largest concert of any kind I have ever attended. There were well over 40,000 of us gathered together, ready to receive but also ready to give. We showed due appreciation to all the preliminary performers such as Christopher Martin, Romain Virgo, Cocoa Tea and Chronixx; knowing each bow and exit brought us closer to the moment of truth. Then, before we knew it, that moment was at hand. The entrance was breathtaking. After the band built the anticipation to a combustible level, we waited to exhale, phones trained on the stage, as we sought our personal permanent record of a piece of reggae history. He came to us, slowly but easily, resplendent in full white, stature unbent. The sight was stunning, but a hush fell over the stadium because, while our eyes were now being placated, it was really our ears that longed to be satisfied. Then we heard it: that piercing, raspy voice from the soundtrack of our times. And the welcomed sound unleashed ecstatic appreciation. He came to us not with brashness but with humility, crooning an opening song that was a musical prayer. When he fell to his knees in mid refrain it set the tone for the rest of the performance. It would be a night of redemption, upliftment and reconnection. With the stage set, the maestro went to work and the effort was spectacular. We felt the urgency of Destiny, the testimony of Til I'm Laid to Rest, the declaration of Hills and Valleys and the stirring appeal of I Wanna Be Loved. The conscious lyrics found new meaning with the affirmation of Close One Yesterday and the everlasting truth of Not an Easy Road, resonating on an even deeper level. Yet it was the songs of prayer that were the most stirring, and after opening with the penitent Lamb of God, he also sang the iconic Our Father and stunned with the moving debut of When God Speaks. Yet, just when we thought our boy was all grown up he escorted us back to his dancehall days and the journey was marked by unadulterated fun. With a wink and a grin he delivered the songs of his emergence in a playful, sequential interplay which reassured us that the ‘rude boy’ who thrilled us hadn't yielded to the passing of time. We danced with unapologetic abandon to the unforgettable anthems of gender politics and feminine appreciation, which culminated with Walk Like A Champion. We served as his backing choir, and he willingly relinquished lead vocalist duties to us when he delivered his opus, the perennial social commentary Untold Stories. Word for word, 40,000 voices sang his signature tune, every syllable punctuated with meaning and emotion. When we wondered what could possibly follow, he made room to share the stage with the friends who had not only sang with him in his heyday, but stood by him when it mattered the most. 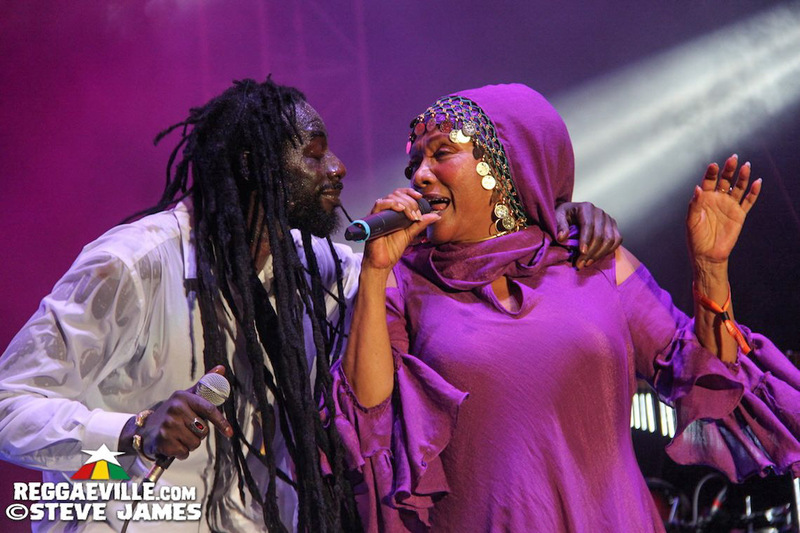 The first to bless us was the gracious reggae queen, Marcia Griffiths, who held Buju like a mother, sang with him like a sister before he stepped back and told her the stage was hers and she delivered a rousing rendition of her classic Stepping Out of Babylon. 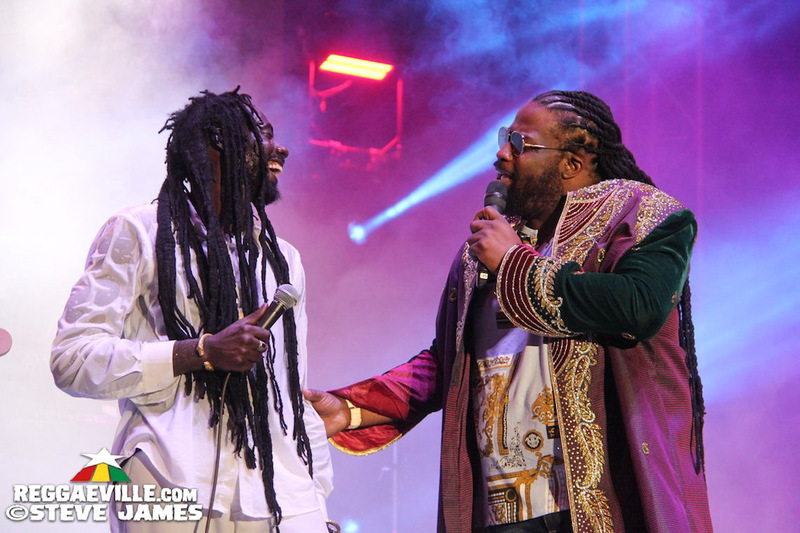 More thrills came from the ageless Wayne Wonder, whose fun and lighthearted interplay with Buju on pleasers like I Don’t Know Why made us feel like we were riding along on a boys’ night out. 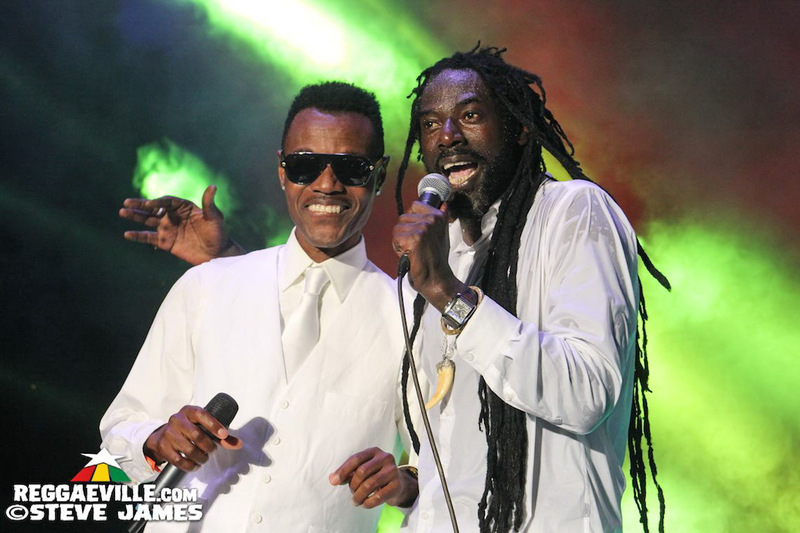 However, the most poignant moment came when Buju was joined by reggae’s reigning master, Beres Hammond. On a night that was marked by ecstatic emotional highs, the elation generated by the reunion was at an unbelievable level. When Buju announced his presence, Beres strolled out casually, as if 40,000 voices hadn’t erupted hysterically at the sound of his name. Buju walked towards Beres giddy as a schoolboy, body language betraying deference to his mentor and friend. Then, in a sweeping gesture of reverence and respect, he raised his head, tossed back his locks and stepped into Beres’ embrace. The hug was long and heartfelt, and although the occasion was shared with a multitude of spectators, it still felt like an intimate moment between friends. The excitement of their physical reconnection was only exceeded by the exhilaration of their musical reunification. In the era of singer and deejay collaborations, their unique and contrasting voices had blended seamlessly to produce some of reggae's most memorable duets. Now, having been rendered solos for almost a decade, these tunes, made for two, would at last be heard in their true form again. They traded off the mic on Falling All Over Again, playfully switching the roles of singer and deejay to our collective delight. They double-teamed the audience with Can You Play Some More, and the dual magnetism was too much to resist. Their easy banter was priceless, reflecting both excitement and contentment to be sharing the stage once again. 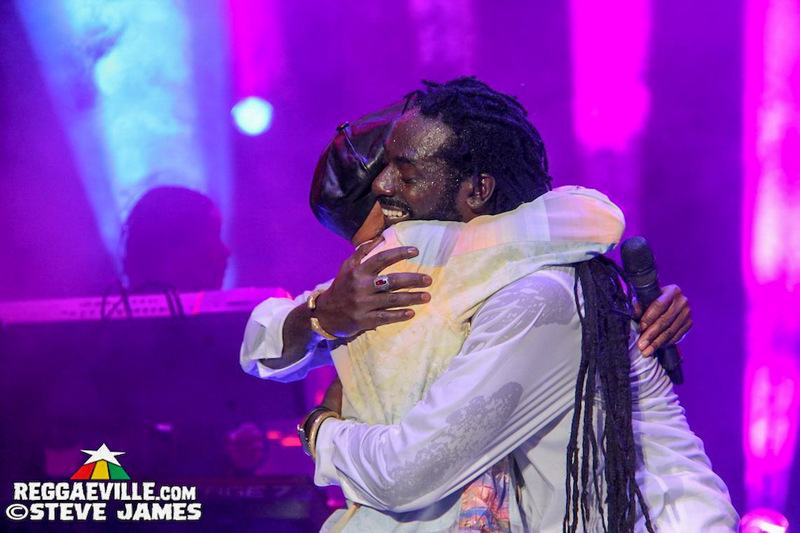 Beres spoke for all of us when, with his arm around Buju’s shoulder he declared, “I have missed these moments”. The final onstage reunion was shared with Gramps Morgan for a moving rendition of 23rd Psalm. With the ecclesiastical classic Buju brought us back to where we started: petition, prayer and praise. The closing song was African Pride and the infectious drumbeat had us moving in unison. 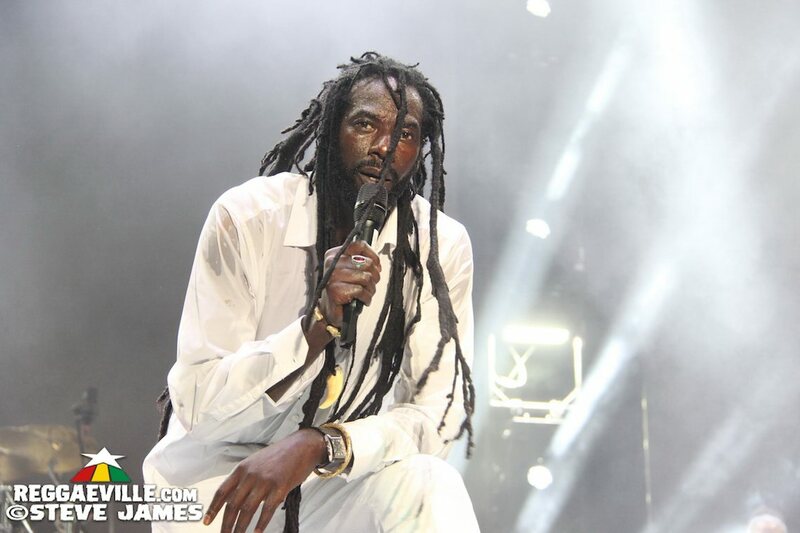 It seemed fitting for Buju to end by paying tribute to the ancestral home and the indefatigable spirit that, in spite of centuries of enslavement, remains unchained. It’s a spirit that finds unbridled expression in reggae music. And for ten years I wondered if a part of that spirit had died. Reassuringly, it lives on. The maestro has returned. Welcome back, my friend!